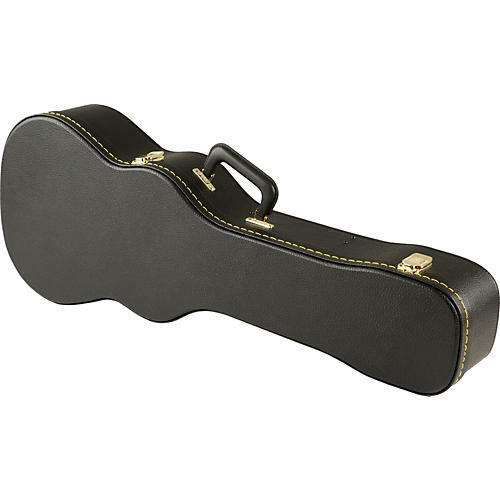 The Musician's Gear Baritone Ukulele Case features 5-ply wood construction, a screwed-in neck brace, black plush interior lining, heavy-duty gold hardware, and a black Tolex covering. An interior compartment holds all your accessories. Includes locking latch and key.